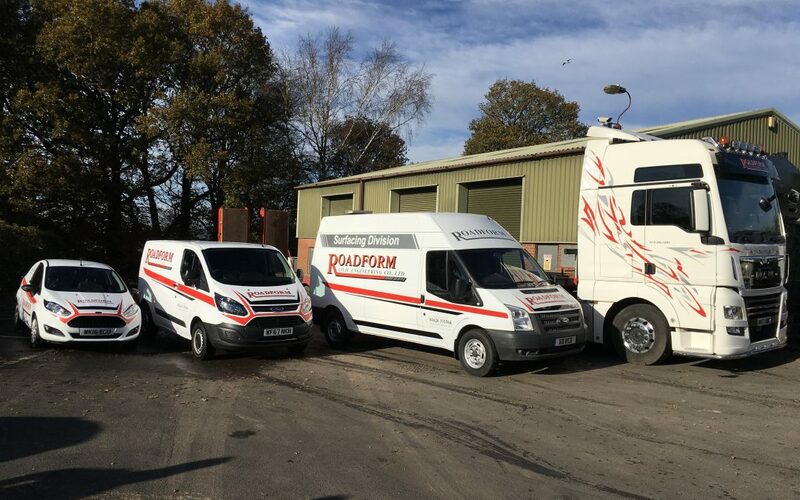 Here at Roadform we are in the process of completely rebranding our company, from our vehicles to our website, with an eye-catching bright red on a pure white design. We were looking for a more up-to-date and bold style to reflect our forward-thinking and modern approach, and we’re delighted with the new design. It’s a vivid, sharp, intense and dynamic concept, and you’ll certainly see our vehicles coming now! So far we’ve updated the website with the new branding, and our new vehicles have already been sign-written with the new and improved logo. We’re gradually working through and updating all of our existing vehicles, too, for a fully consistent and striking branded look across the board. We understand that good branding isn’t just about the bright colours and our new logo, and that our brand should reflect everything we are as a company. A smart, sharp, and professional rebrand indicates our clear expertise and professionalism, and gives us a look that will become known and widely-recognised across the local areas that we cover. 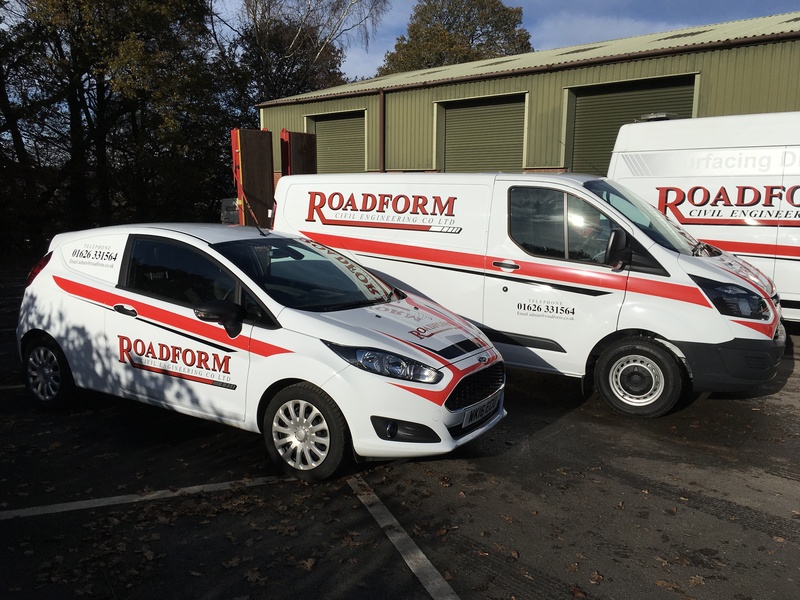 Roadform is a long-established company and has been in the civil engineering industry for almost 30 years. Not only are we highly experienced, but we are committed to continuously developing and improving our processes, our plant & machinery and our staff, ensuring a high-quality, professional, leading-edge approach to every project. We work hard to deliver every project to budget and to deadline, and our highly trained staff take every care to listen closely to our clients and deliver quality work that exactly matches your specifications. Serving both the local area in the South West of the UK and beyond, we offer a wide range of services, including road building, utilities, windfarm developments and pipeline construction, and our professional new branding will serve us well to take on the next 30 years.